This soldier Singh Dharam Veer lost his memory in an accident and was presumed dead for 7 years.This Story is truly filmy and will leave your jaw wide open. 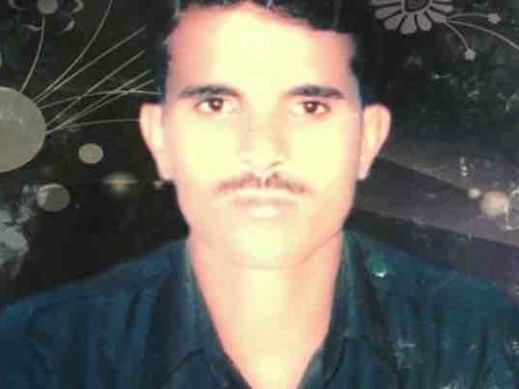 This soldier Singh Dharam Veer lost his memory in an accident and was presumed dead for 7 years. Then something happened which led to his magical reappearance which totally came out as a shock to everybody who knew Dharam Veer. This Story is truly filmy and will leave your jaw wide open. Dharam Veer’s father Retired subedar Kailash Yadav was sleeping soundly in his house. It was night time when suddenly their door began to thud rapidly. Kailash presumed the knocker to be a drunkard as it is a common scene in their area. But what he saw that night swept him off his feet, his late son Kailash Yadav was standing right in front of him as fit as a horse. Dharam veer was with 66 armored regiments in Dehradun where they meet with an accident. No bodies were found at the scene and 39-year-old Dharam went missing. It was after 3 years that the army presumed him to be dead, as in the norms. They issued the death certificate and began granting pension. Little did they knew that Dharam Veer never really died, he had apparently lost all of his memories of his previous life after the accident. It was only a week earlier that he was able to regain a fraction of his lost memories. It all began with a road accident. He was begging on the streets of Haridwar, it was there, where the accident took place. He got hit by a biker, who quickly rushed him to a hospital where Dharam Veer realized who he was after regaining consciousness. The biker took responsibility for his health and also gave him Rs. 500 so he can trace his way back to his home.